A new study has shown sea cucumber extract to kill up to 95 percent of breast cancer cells, 90 percent of melanoma cells, 95 percent of liver cancer cells and 88 percent of lung cancer cells in vitro. The extract also stimulates the immune system against cancer and impedes key processes required for metastasis. While the science behind this is very new to Western medicine, the sea cucumber has been used in Chinese medicine for centuries. In previous studies, extracts of sea cucumber have demonstrated potent cytotoxicity against pancreatic, lung, prostate, colon, breast, skin and liver cancer cells as well as leukemia and gioblastoma. Researchers have identified a key compound responsible for sea cucumber’s anti-cancer properties: a triterpenoid known as Frondoside A. A new study has now confirmed the anti-cancer effects of Frondoside A at a whole new level. In the lab, it has killed up to 95 percent of ER+ breast cancer cells, 90 percent of melanoma cells, 95 percent of liver cancer cells and at 85-88 percent of three different lines of lung cancer. But the benefits of this compound don’t just stop at directly inducing programmed cell death (apoptosis). It also inhibits angiogenesis (the ability of tumors to grow new blood vessels to get their food) and stops cancer metastasizing by impeding cell migration and invasion. Even more intriguing is the ability of Frondoside A to activate our immune system’s natural killer cells to attack cancer cells. This has been shown for breast cancer in particular but may also apply to all cancers because it involves the immune system and not cancer cells directly. This may partially explain why Frondoside A was so effective at slowing lung tumor growth in mice that it rivaled chemo drugs in performance. Frondoside A is potently cytotoxic to three different types of lung cancer in vitro including NCI-H460Luc2, LNM35 (non-small cell lung cancer) and A459 (epithelial adenocarcinoma). And when given to mice with xenografted human non-small cell lung cancer, it slowed the growth of the tumors by 40 percent over the course of 10 days. This compares very well with the growth retardation of 47 percent obtained with a standard chemo drug. But the similarities between the two compounds stop there. The chemo drug used in this study is known to damage DNA and carry potent negative side effects such as kidney damage and immunosuppression, and it may actually induce leukemia in the patient. Frondoside A, however, actually stimulates the immune system, potently kills leukemia cells, and produced no visible side effects in the mice according to the researchers – all at a fraction of the price of chemo. But the most impressive part of this study was that all this was achieved at a very small dose of Frondoside A: equivalent to less than a single milligram for an adult human weighing 75 kilograms. 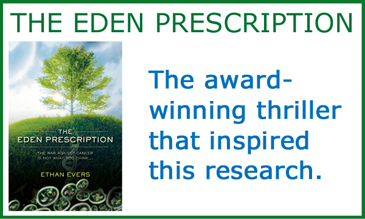 It is also noteworthy that Frondoside A given together with the chemo drug slowed the cancer growth by a remarkable 68 percent. 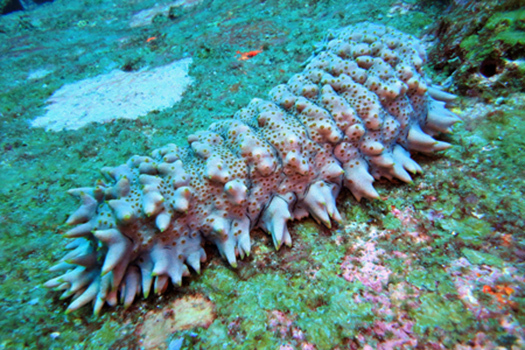 Sea cucumber extract is a highly promising natural medicine for cancer. There are currently two clinical trials using it (with other natural extracts) against myeloma and multiple myeloma, but more trials against breast and lung cancer are clearly called for, as a start. In the meantime, dried and powdered sea cucumber is available in North America in over-the-counter health supplements aimed at inflammatory conditions (such as arthritis) because sea cucumber also happens to be a rich source of chondroitin.